Simply love this one ELK. You've did it again, put a smile on my face and a glow in my heart. Hugs to you. i deliberately woke up early this morning to spend time with God. i sat in silence and simply allowed nature to speak to me on His behalf and then i opened the Word. i found simply profound things in between the pages. sweet list ELK- quiet mornings is also my favorite on this list! perfect list elk. simple things are the best things. A wonderful list! I love that you listed denim! It's something I would not have thought of, but, yes, what a perfect addition to a list of simple things that make you happy! Lovely list; simple but special! i love the simple things that life has to offer. i just wrote about that very thing in a guest post that will be posting on someone else's blog tomorrow. your list is perfect as is. you could add or take away, and it would still be perfect. but it's perfect as is, too. thanks for sharing. i'm going to go check out this soul aperture. have a lovely, simple day. i know how simple it may seem, but this brings tears to my eyes. Me too, honey. Simple things are my favorite things! 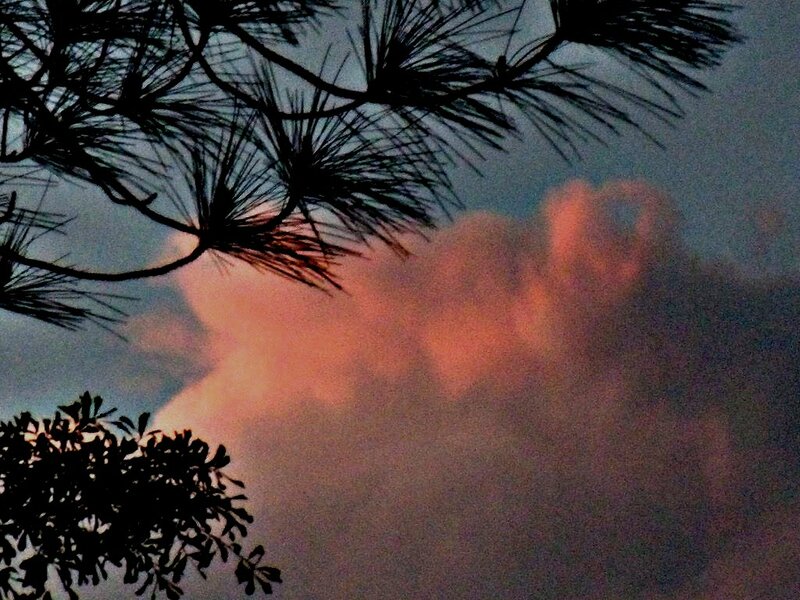 And that pink cloud...amazing! oh, simple things are the best! Sweet list.. love the clean sheets..I was just moving my body around in my bed because the crips sheets felt so good! Very nice. OK I am going to make a note to do a post on simple things. Its just too good and true. I love this mid-week focus on simple! And yes, you are more than an "honorary" sister ... you know that! oh yes toddler hands! beautiful image and a wonderful list! I am just loving these lists! I love all of these -- except I just cannot fall in love with water, though I continue to try ..
Beautiful photo, awww yes, clean sheets, toddlers hand, but may I add to your list? the smell of a brand new book...I love it! Clean sheets are wonderful!! I do like and vibe with your list, Elk. All among my fvorite things. Toddler hands. I love that. Thank you for sharing the simple things you love. mmm, banana bread and clean sheets! That is HEAVEN!!! Beautiful photograph, sunrise and sunsets are gorgeous, so much color and you have captured it well. Yes I love a breeze, banana bread, and clean sheets! Banana bread--yes! I love this. Thank you so much for stopping by my blog. What a delight to have found yours. Christina has a brilliant idea. I love the comment RE: toddler's hands. YES! Sun roof. Oh yes! My car was in the shop today, so I drove Jeffrey's. All day long - just me singing loud, the sunroof open, all the windows down, and the radio blasting. Heaven on Earth.